Payments may be made on arrival at check-in (Holmes Hall) or sent to the mailing address below. 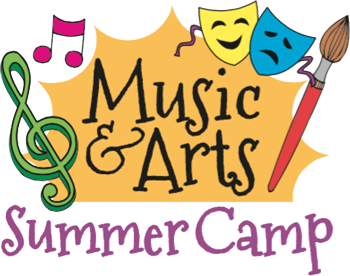 The Performing Arts Summer Camp is a five-day camp, for middle and high school art, choral, band, orchestra, and theatre students. Summer Camp participants will be taught and trained by some of the most accomplished musicians and teachers in the State of Mississippi. Camp participants will be immersed in an inspiring and encouraging environment where they will participate in large ensembles, chamber ensembles, master classes, and explore other artistic disciplines. Continental breakfast, hearty lunch and afternoon snacks are provided and includes one (1) t-shirt. Arrangements can be made for early arrivals and late pickups but will incur an additional fee of $25.00. Brief Description: Tougaloo College Performing Arts Summer Camp seeks to enhance academic aspirations, social skills, and educational aspirations for middle and high school students. Early Arrival/Late Pick-ups: Arrangements can be made for early arrivals and late pickups but will incur an additional fee of $25.00. Report to Holmes Hall for check-in at 8:00am. After you check-in you will receive instructions for your placement audition. All campers must report to the Lecture Hall of the Bennie G. Thompson Auditorium once they complete their audition. Once the auditions are completed, we will have a brief meeting to introduce the staff, review the drop-off and pick-up information for the week, review the camp rules, and talk through the schedule for the week.